Counting the dead ones, I have 43 first cousins, 27 aunts and uncles (including spouses), 15 nephews and nieces, five sisters, four brothers, two daughters, one son, a grandchild, and wife. 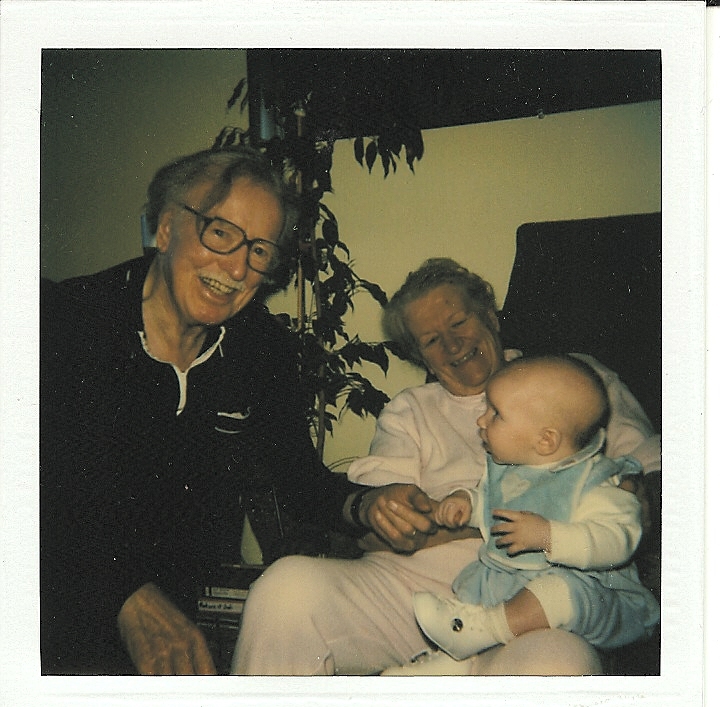 While the vast majority of my relatives are around Ontario, I’ve got family in both Vancouver and Halifax. Our family: There's at least one of everything. Among us? There are teachers, nuns, doctors, nurses, full-time patients and part-time malingerers. We have university researchers, high-school dropouts, civil servants, retired miners and a few surprisingly successful business types. There's an undertaker, several social workers and a downtown-Toronto paramedic. We’ve got labour as well as management. Trudeau supporters and anarchists. Bankers. Social-welfare-cheque getters. Many of my relatives are devout Catholics; quite a few others are atheists. I’m guessing most are somewhere in between. We have artists like my sister Norma and people like me who, if a pistol-wielding crazy man came in here right this minute demanding I draw a stick man to save my life, this column would never get finished because I would be dead. Speaking of, some of my relatives hunt. Others we couldn’t let near a firearm because they would not know which end of the gun gets pointed away from you. There’s cat people and dog people. Some members of my family have served time in the armed forces; others have just plain served time. Tom and Huena and Grandson number something: Rich with family indeed. 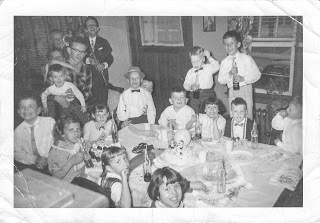 Quite a number of my relatives—especially on my mother’s side—play the guitar or piano or fiddle. My niece Patricia has one of the most beautiful singing voices you’ve ever heard. Others have ears so tin you could use them to catch pike. Some enjoy great marriages; others have not-so-write-home-aboutable relationships; lots knew better than to try. Many of my relatives and I could name names sit around all day doing nothing at all. We have calloused-handed farmers and lazy-bone writers. We have smokers, drinkers, abstainers and more than a 2006 Dodge Caravan load of us are in denial. As my late father Tom liked to point out, we can’t go around criticizing the neighbours because there aren’t many things—good or bad—that at least one person in our family hasn’t gotten up to. I’m pretty sure I would trust all of those people I’ve mentioned with my ATM card and PIN number even though I have a feeling “PIN Number” is a tautology, like “NDP party” because the "P" in "NDP" stands for “party”. Does “Pin Number really mean “Personal Identification Number Number? Some of my relatives love talking about stuff like that; others have lives. But I’m getting off topic. I’m confident that if I ever need a place to stay or a few bucks to tide me over, any of the above folks would be good for it, at least for a day or two. I later learned he was telling the truth. When my mom Huena was old and near death, she used to brag that all the little old ladies on her street were jealous because she had so much family around. The facts didn’t matter. If you knew Huena, you understood: So what if the women never actually said they were jealous? Mom knew they should be. One last quirk: Believe it or not, some of my relatives will knowingly walk under a ladder. Can you imagine? These non-superstitious types do not freak out if a bird flies into a house, even though that’s a sure sign that somebody’s going to die. 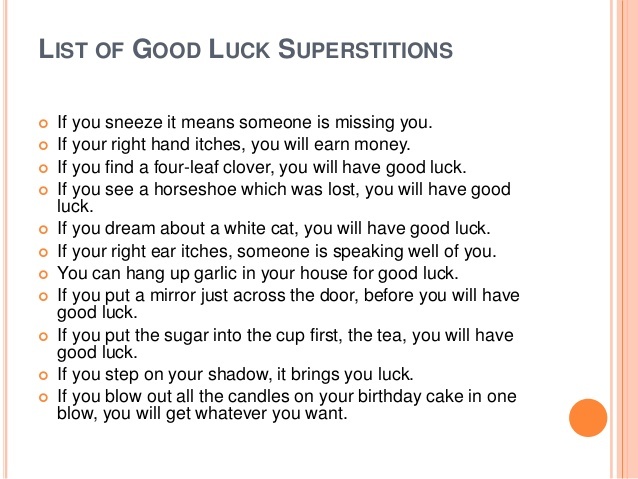 But I—and my sister Charlene, too, I think—inherited the superstition gene from mom. 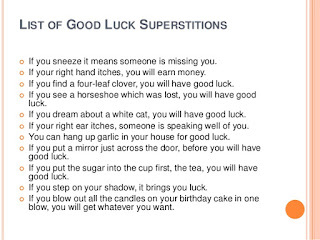 My wife says I’m the most superstitious person she’s ever met. She also thinks I’m the luckiest guy on the planet. You are so rich in family. Believe me. When you sit in my chair as "the outsider", you really do get to see a family as such a treasure! And, know what? You have a lot of people to pick from if you end up in those drastic Depends! !